Footage, which has been circulated widely by the Russian media, shows a man being kicked and punched in the street by a group of people said to include the two footballers and another incident in which two civil servants appeared to be assaulted in a cafe. Mamaev and Kokorin have declined to comment on the issue so far. The two players were summoned by police for questioning on Wednesday and told that if they did not appear then nationwide search warrants would be issued. Police said both players had turned up and had been detained over charges of hooliganism, which carries a maximum jail sentence of seven years. Police did not comment on the length of the detention period. Kokorin has 48 caps for Russia but missed this year's World Cup with a knee injury. Mamaev has represented the national team 15 times. The two men also face possible sanctions from their clubs. 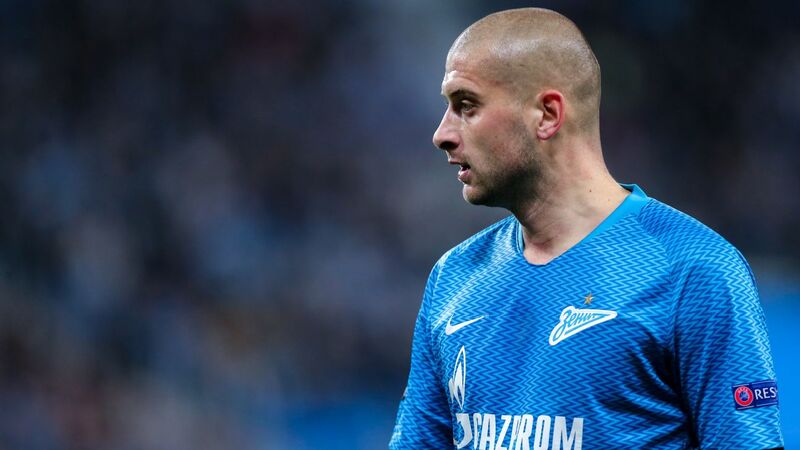 "We absolutely condemn the actions of those involved, it has caused outrage within our club and we are waiting for a legal assessment from the relevant authorities, but from a personal point of view, such behaviour is truly shocking," Zenit, who have stopped selling Kokorin shirts in response to the incident, said. "We are now considering what punishment the club will take against the player... the club and supporters are disappointed that one of the country's most talented footballers has behaved in such a manner." Krasnodar condemned Mamaev's behaviour and said it was exploring ways to terminate his contract.